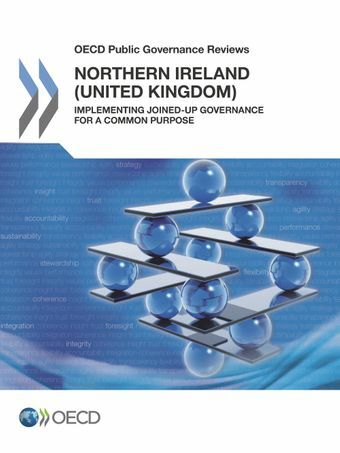 Northern Ireland is currently undertaking public administration reforms organised around three main objectives: improving strategic approaches, improving operational delivery of services to citizens and businesses, and improving engagement with people. This review supports those reforms by providing an assessment and recommendations on a wide range of issues, including strategy-setting and co-ordination, strategic government-wide human resources management, open government, regulatory reform and digital government. It highlights areas where Northern Ireland possesses strengths upon which to build future reforms and suggests actions for the future. This is the first Public Governance Review to be conducted by the OECD at the subnational level. Build on current strengths and work in a more co-ordinated manner by reducing the institutional and administrative barriers that undermine ability to address multidimensional challenges through integrated policy responses. Reinforce the mandate of its centre-of-government institutions by, for example, enhancing the Executive Office’s co-ordination capacity and focus its mandate on partnering effectively with the Department of Finance so that they can jointly work across governmental silos to pursue integrated outcomes for people more effectively and more inclusive growth for the region. Reinforce within the senior civil service a sense of community based on a shared commitment to serve a “single government”, while encouraging innovation in all levels of the administration. Establish a framework for the application of early intervention and prevention as a building block for new social policies and programmes, and strengthening data-driven analysis for improving service design and delivery. Building stronger standards and accountability for digital services, strengthening centralised capacity for digital delivery, increasing NI residents’ access to on-line government services, and enhancing Northern Ireland’s international engagement in digital government and innovation. Enhance public trust in the government’s ability to pursue better outcomes for people by improving dialogue with key stakeholders, notably from the community and voluntary sectors, and strengthen transparency and accountability mechanisms.